A corrections employee committed suicide Tuesday at the Nevada Southern Detention Center in Pahrump. 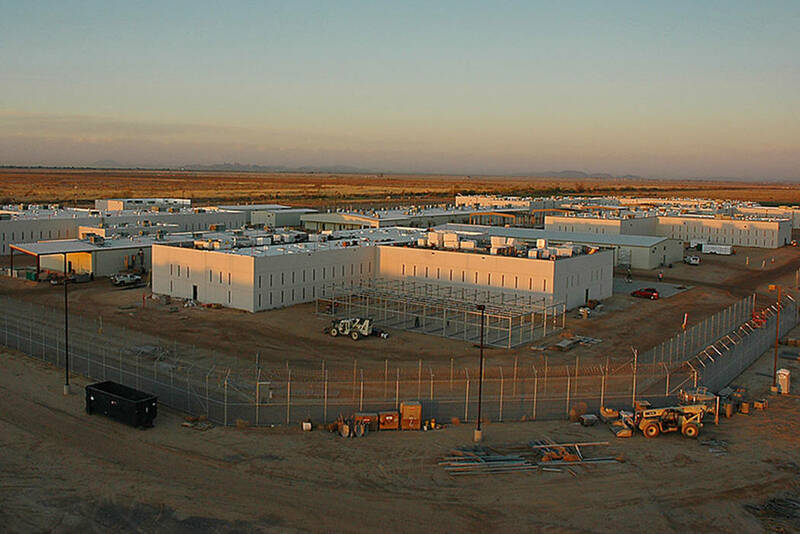 Las Vegas Review-Journal CoreCivic is a company that owns and manages private prisons and detention centers throughout the country, including the Nevada Southern Detention Center shown in this photo. A corrections employee committed suicide at the Nevada Southern Detention Center in Pahrump. The employee’s name and position have not been released to the public. Detention center staff members found his body after responding to a fire alarm that went off around 6 p.m. Tuesday. No fire was discovered. Staff contacted emergency medical services, who pronounced the employee dead at the scene. CoreCivic, formerly the Corrections Corporation of America, is a company that owns and manages private prisons and detention centers throughout the country, including the Nevada Southern Detention Center. The facility currently is housing anti-federalist rancher Cliven Bundy and his band of more than a dozen like-minded supporters who are awaiting trial on charges resulting from the 2014 armed standoff in Bunkerville. The corrections company said it is cooperating fully with local law enforcement as it investigates the suicide. The Nye County Sheriff’s Office, whose jurisdiction includes Pahrump, is investigating. The Clark County coroner’s office will determine the official cause of death. Contact Jenny Wilson at jenwilson@reviewjournal.com or 702-384-8710. Follow @jennydwilson on Twitter. Review-Journal reporter Henry Brean contributed to this report.